Children are very much a part of the church and here we take seriously the responsibility to nurture and encourage them. They in turn make a unique and valuable contribution to the church’s life. Consequently, we are delighted to welcome families into our midst. 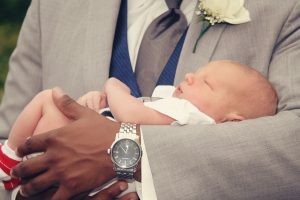 When parents bring their child for baptism they are standing on the threshold of a very important undertaking that will take them many years to fulfil. Throughout the course of a child’s life he or she will need the care and support of devoted parents. A child has many needs and is utterly dependent upon its parents for both physical and emotional well-being. There is also the matter of education. A responsible parent will take very seriously the duty to teach and train a child and to instil a sense of right and wrong. Christian parents will work hard to ensure that their child grows up with a knowledge of God. All the while the object is to give a strong foundation upon which the child, having grown to a point of understanding, can build and so come to experience her/his own life of Faith and Discipleship. We believe that it is essential for parents to have the strong support of a Christian church in order to fulfil the vows that they will be expected to make at the baptism of their child. Therefore, before we are able to agree to baptise your child we must see that you are prepared to take your place within this or another worshipping congregation. For those who at this time do not feel able to make the promises that are involved we are able to offer an alternative way of celebrating your child’s arrival into the world. Naturally, it is time of great excitement and therefore it is right to say thank you to God for the gift of your baby. The service of thanksgiving and dedication of parents is an appropriate way of offering thanks. Please take time to consider, and if you feel that you would like to talk further or you would like a leaflet explaining how we do things please Contact Us. Whatever your circumstances we remain ready to help you to celebrate, give thanks, and commit yourself to the wonderful and sacred task of parenthood. The Lord our God is one Lord. And you shall love the Lord your God with all your heart, with all your soul, and with all your strength. And these words shall be written on your heart: and you shall teach them diligently to your children. The White Church is a very popular venue for weddings. We like to think that this is not just to do with how the building looks but is also a response to the warm welcome that we extend to couples of all ages seeking to begin their journey through life as husband and wife. The first step is to contact Jan Hirst, our weddings secretary. She will give advice and let you know if dates and times are available in the Church calendar. You will be expected to attend a Sunday service and afterwards will have a private meeting to confirm details and go over the paperwork for your wedding.The scale of fees that will apply will also be explained to you. The Church Verger, Jean will be happy to discuss the practicalities of a wedding at the White Church and with music being an important part of the marriage ceremony, our organist, Arthur is always eager to discuss your requirements. Jean and Arthur are available at the Church following Sunday worship. We recognise that sometimes things don’t work out between people and that despite our best efforts marriages fail. You are welcome to contact us if you or your partner have been divorced. We are interested in your future, not your past. 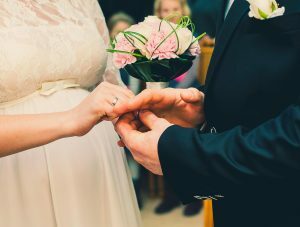 If you would like more information about marriage at the White Church please go to Contact Us and send a message or telephone Mrs Jan Hirst on 01253 738221. 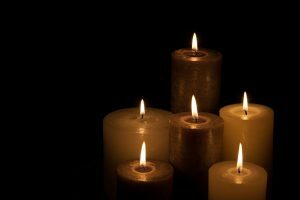 Bereavement is something we all have to experience at some time. If we take the risk of loving another person, then one day we will know the pain of being parted from them. Our experience of loss is personal to each one of us. Different people face it in different ways. Sometimes there is deep sadness, sometimes relief that a time of suffering has come to an end, sometimes there is the quiet recognition that a life has run its course and reached its close. Often these feelings are all there in a muddled up way. There are no right or wrong feelings. However, there is support for those who find it hard to cope. If you would like information about funerals at the White Church, please go to Contact Us and send a message or telephone Mrs Jan Hirst on 01253 738221.